The Kindergarten girls put on quite a show! Kindergarten girls spent the Fall Semester in music class exploring English nursery rhymes, using them to learn facets of rhythm through speech, adding melodies to the rhymes, and finally creating small arrangements on pitched percussion instruments to accompany themselves. 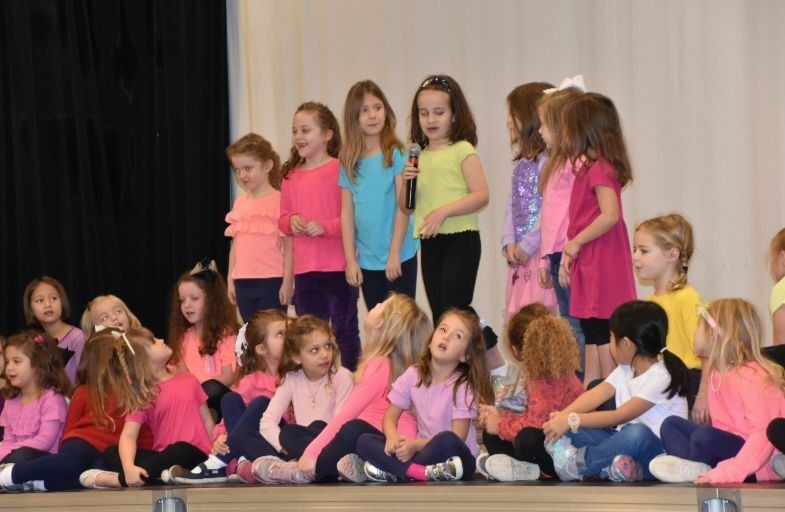 Today, the Class of 2031 wowed their parents and the Lower School as they presented some of their work on the McGehee stage, reciting, singing and playing rhymes such as: Mary Mary, Quite Contrary, Jiggety Jig, Once I Caught a Fish Alive, and more! Click to hear the girls in action. Louise S. McGehee School is a private independent all-girls school for Pre-K through grade 12 and open to all qualified girls regardless of race, religion, national or ethnic origin.